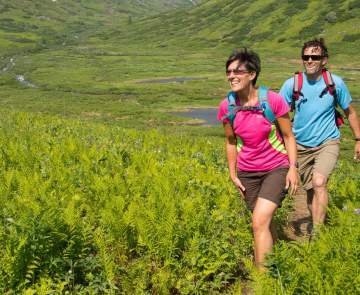 From the vast Alaska Range to Knik Glacier and Hatcher Pass, the Mat-Su Valley offers more flightseeing options than any other region in the state. Alaska&apos;s majestic scenery appears magnified from a Cessna window and the vantage point makes for good unpredictable wildlife sightings. Only 50 air miles from Mt. 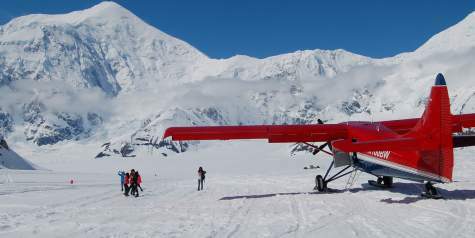 McKinley&apos;s (Denali&apos;s) summit, Talkeetna is one of the most popular flightseeing hubs, with Denali flightseeing tours that include glacier landings and the potential of seeing Denali (formerly known as Mt. McKinley) up close. This busy airport shuttles visitors on a variety of Denali flightseeing tours to marvel at the majestic mountain views. For up to the minute views, two Talkeetna flightseeing companies offer webcams that refresh often. You can take a look at North America&apos;s tallest peak here and here. Willow has flightseeing operators that take passengers to wilderness lodges for world-class fishing for king and silver salmon as well as trophy-sized trout. In the winter, you can follow the famous Iditarod Trail to chase the international Iditarod Sled Dog Race event in March. The Matanuska Valley, along the Glenn Highway, is a unique location to see glaciers like the Matanuska and Knik plus Dall sheep dotted along the mountain side. You can also pair a flight with a remote guided hiking experience to really explore the area. 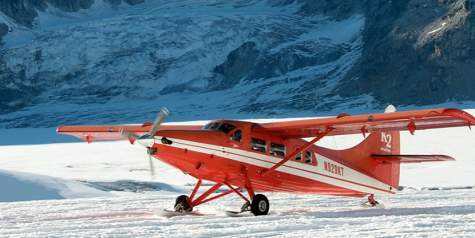 Search the listing below to find the Alaska flightseeing tour or air taxi service that meets your needs.